BMW of Brooklyn is offering BMW X5 lease specials for Brooklyn shoppers to take advantage of. Stylish, comfortable, and technologically-sophisticated, the new BMW X5 is a must-drive vehicle for Brooklyn families. With five-passenger seating and a potent V6 engine, the new X5 can get you where you need to go in New York City in style and comfort. The new BMW X5 sports activity vehicle also offers LED fog lights, 16-way power sport front seats, and BMW’s Active Protection System. When you lease a BMW X5 you don’t have to commit to buying a new car to enjoy all the BMW X5 offers. Explore our BMW lease deals below, then apply for financing online and ahead of time and visit our Brooklyn BMW dealership to calculate the monthly lease payments and terms that suit your needs. Ready to see how the BMW X5 handles Queens roads? 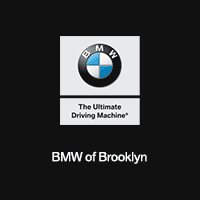 Contact our BMW dealership to schedule a test drive at BMW of Brooklyn near Staten Island and Manhattan! Buying offers its own benefits, such as eventual ownership of the car and no mileage caps on your contract, but those aren’t necessary for all Brooklyn drivers. Leasing a car offers advantages you won’t get when you buy. Leasing through BMW Financial Services gives Staten Island drivers access to lower monthly payments and down payments, as well as a multitude of lease-end options. Contact our BMW dealership to learn more about BMW X5 lease prices and national offers on all BMW models.